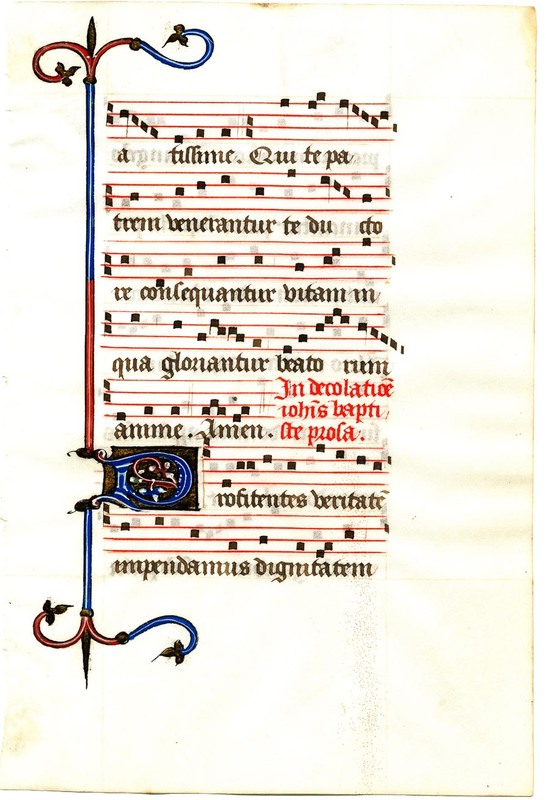 Ege identifies this leaf as coming from a French hymnal of the early fourteenth century. 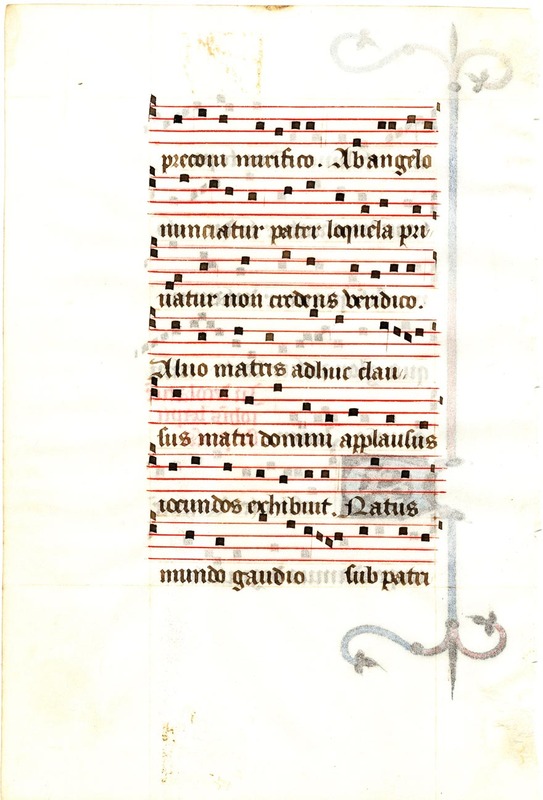 It measures 16.5 x 11 cm, and contains four-line musical staves in red with square Gregorian notation. The ink for the main text and the notes is a dark grey. A distinctive spear or javelin stands guard along the left margin of one side of the leaf. The vellum is clean and bright, and the red, blue, and white inkwork has been very carefully applied; the gold leaf, too, shows an expert's hand and has survived the centuries beautifully. See Denison University Leaf 21 for more information about this manuscript.